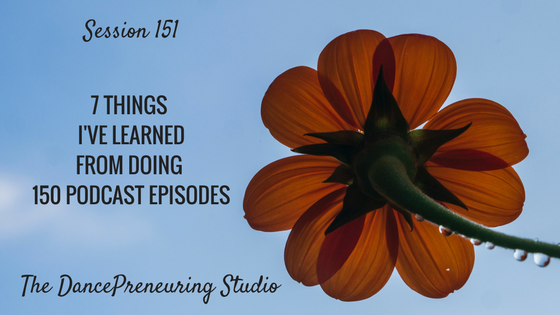 There are many things I’ve learned from doing 150 podcast episodes and here are 7 things I’ve learned in the process. Who would’ve thought that this journey would yield many unexpected benefits and lessons. Quitting is an option. It’s your choice. There are things that you should quit such as thinking that you’re not enough, and putting too much importance on others’ opinions, especially when they aren’t in alignment with your intuition. I like recording live on location. It forces me to be present and not be concerned about editing. It pushes me out of my comfort zone. It makes me want to keep trying new things and experiences. Podcasting has propelled my perspectives to other things beyond podcasting. I don’t have to listen to all the “popular” podcasts. I have gotten being better about FOMO (fear of missing out). Sometimes missing out is the best thing that can keep you moving forward. It reminds me that I need to be more strategic about planning my content. And upon further thought, more strategic about other areas of my entrepreneurial journey. Benefits of anything worthwhile are not always immediate. You have to give yourself enough time to be consistent. One of the serendipities of podcasting is doing voiceovers for a highly rated business podcast. Busy is not a badge of honor. Busy is a decision.